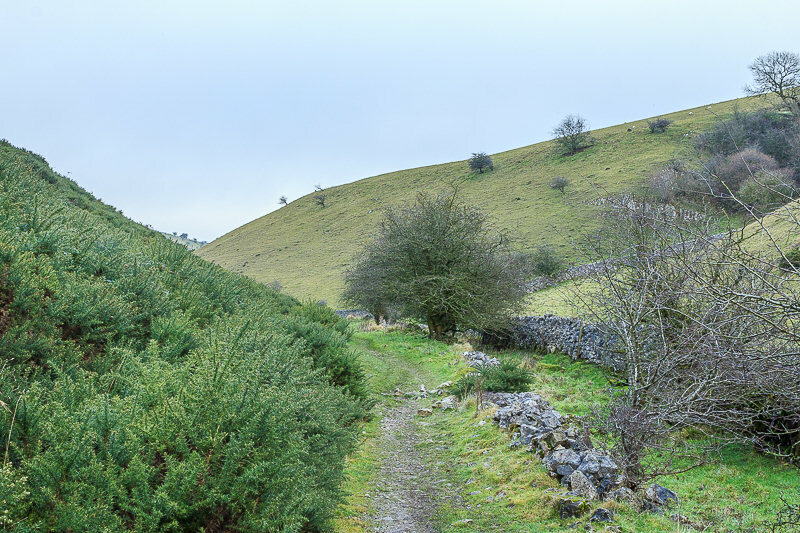 As family events meant we were unlikely to get out walking over Christmas we made the most of the good weather and headed out for a pre-Christmas walk. Although it was the last full shopping day before Christmas we were still surprised at how few people we saw, in total we passed 13 people during the walk. Weather: Dry and warm for the time of year. 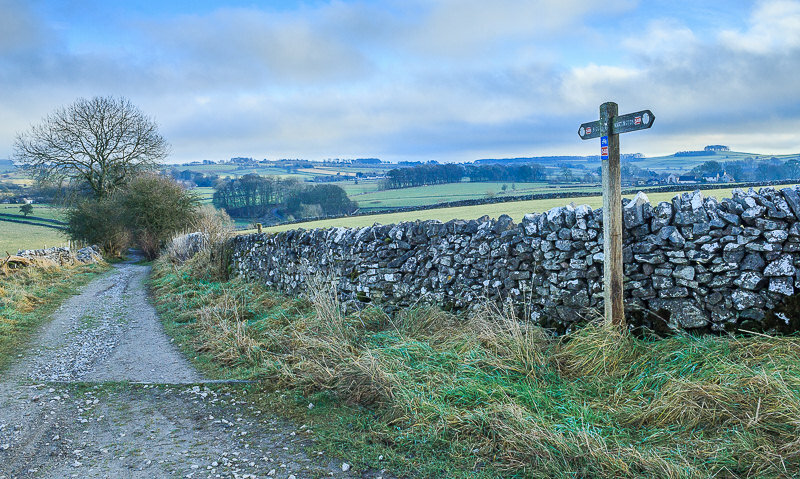 From Hartington we followed the clear track across fields and around Pennilow. 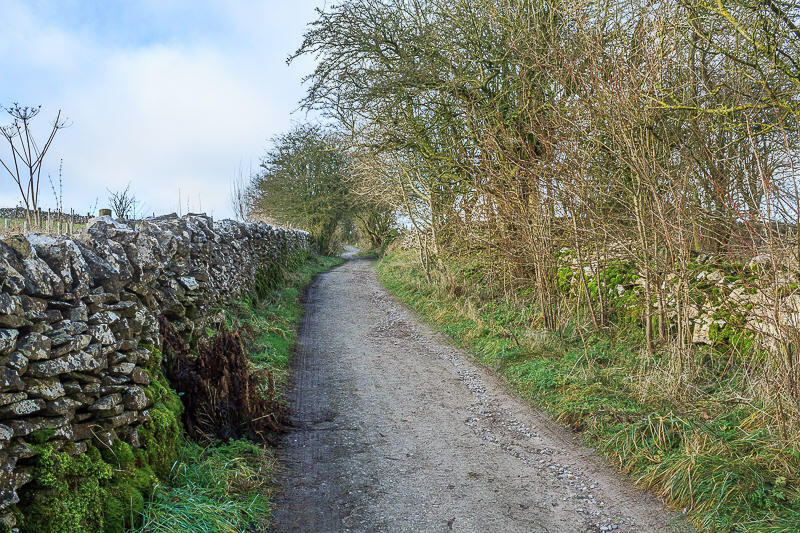 In summer this path is often very busy, maybe the lack of cars in the car park should have been an indication of how few people we would see today. 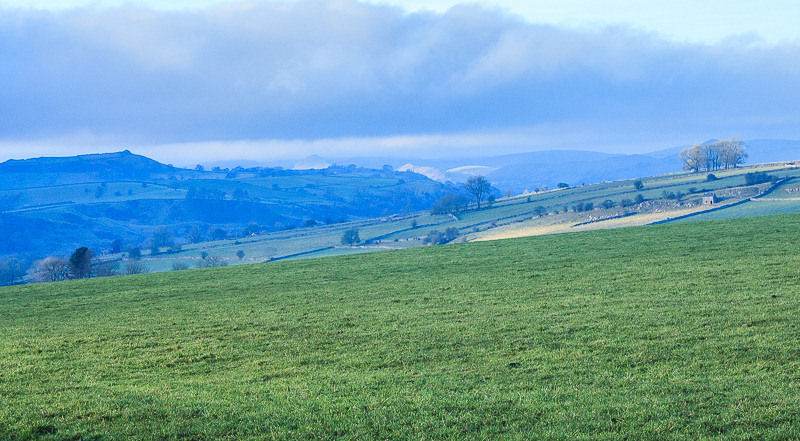 Although the weather forecast was for quite a bright day the mist was taking a while to clear. 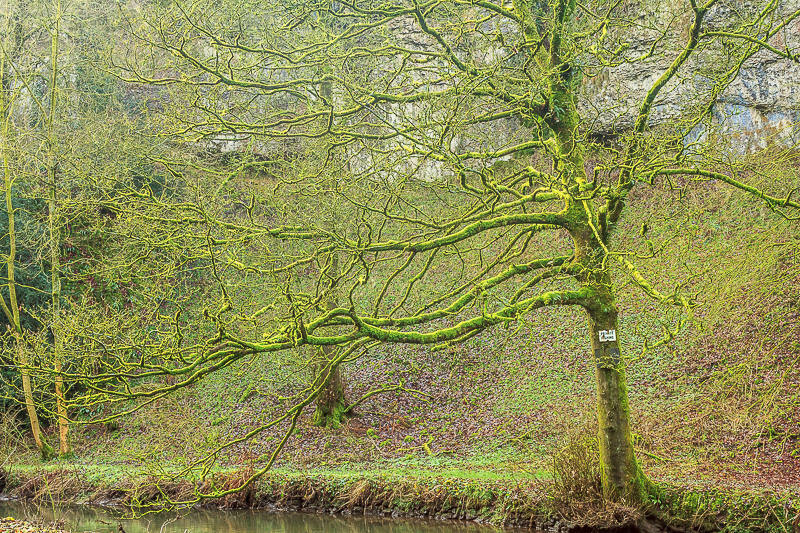 Once we were in Beresford Dale we couldn't help but notice how brightly green some of the trees were. Although it was only some of them and often only on one side of the tree. 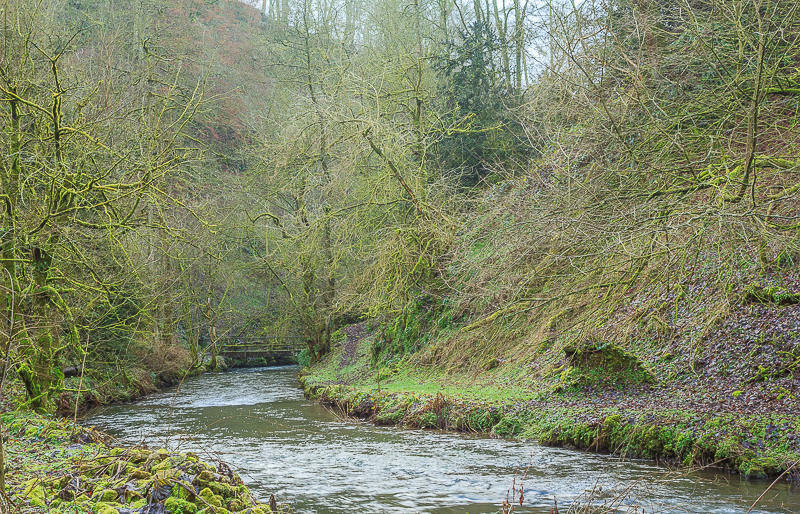 We followed the River Dove through the dale, although the first bridge we crossed looks like it is ready to collapse into the water. 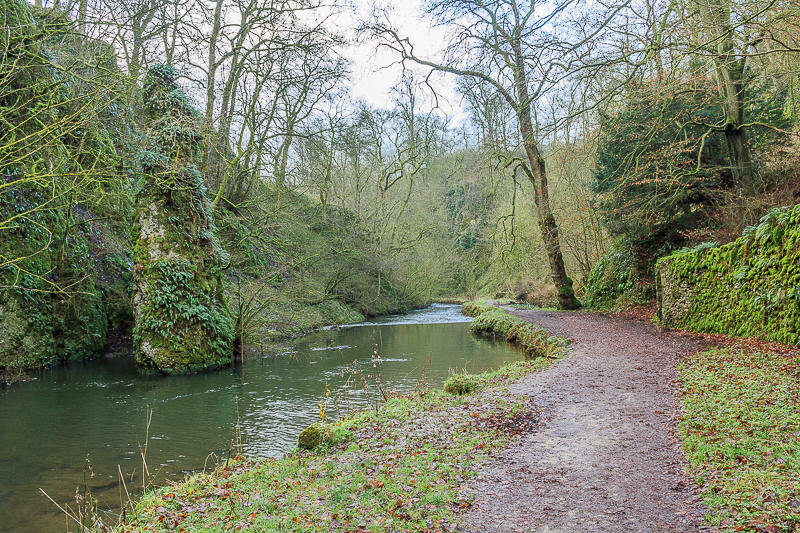 This section of the river is known as Pike Pool as the rock is meant to look like a pike emerging from the water. 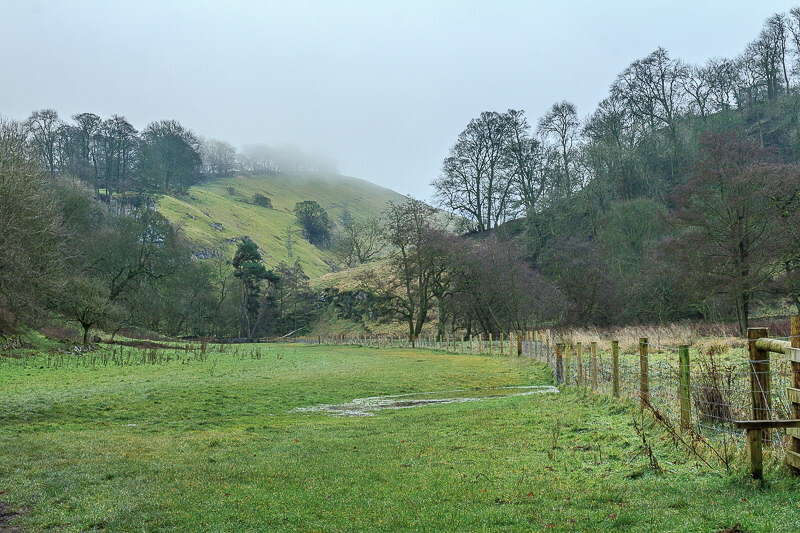 We soon reach the field that links Beresford Dale to Wolfscote Dale, where a strange patch of mist is still clinging to the trees above the dale. 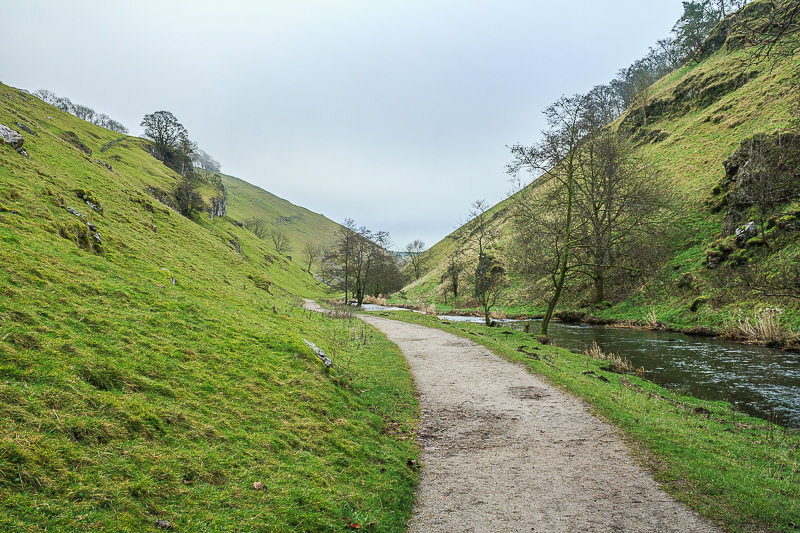 By the time we reached Wolfscote Dale we had passed two people and the normally busy dale was itself rather deserted. It was very strange to see so few people there, even the caves were deserted. 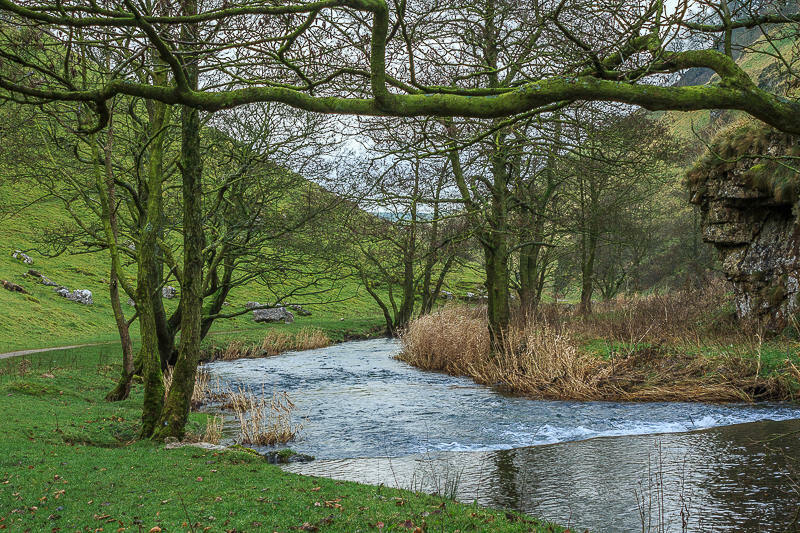 As we walked through the very quiet dale I couldn't help but imagine how busy it was in Derby and all the supermarkets, I know where I'd rather be. 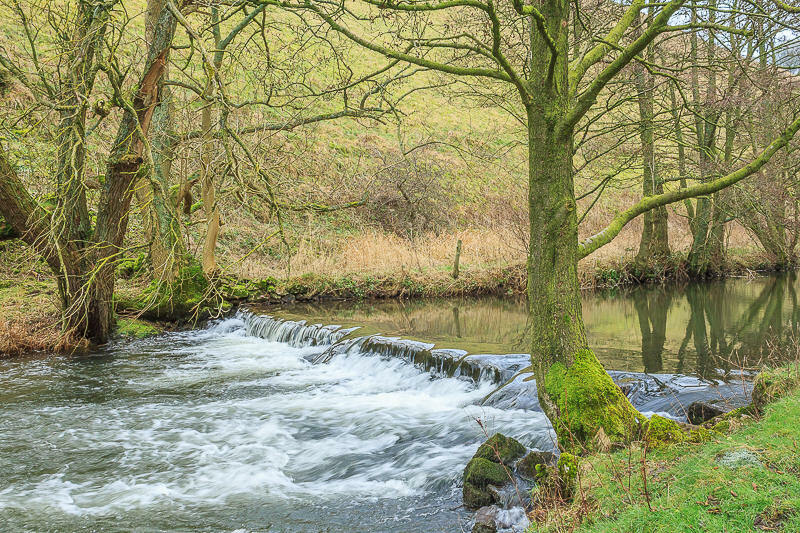 Reflections at one of the weirs on the River Dove. Peaseland Rocks mark the point at which we would leave Wolfscote Dale. 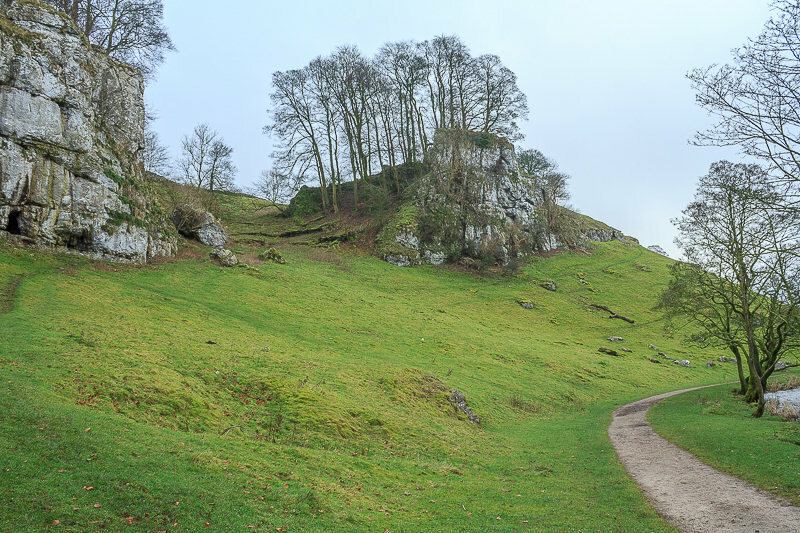 Still pretty quiet in Wolfscote Dale. 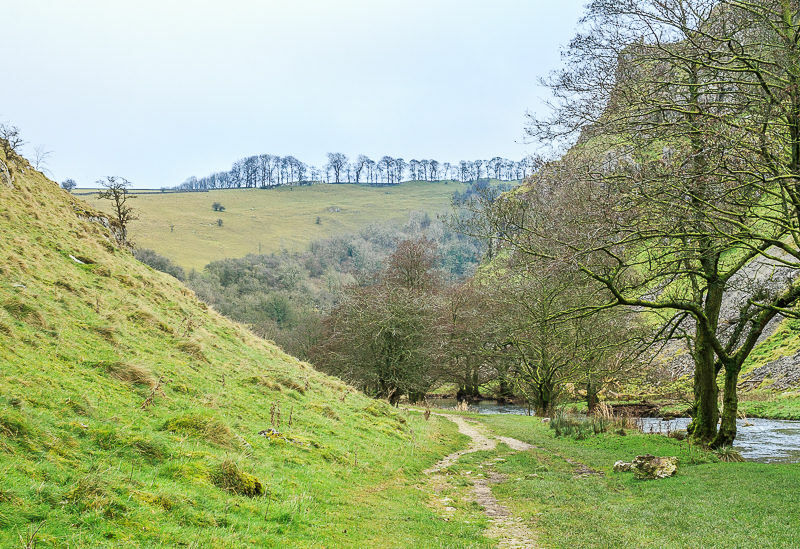 Looking back to Drabber Tor whilst we had a quick coffee break before heading along Biggin Dale. 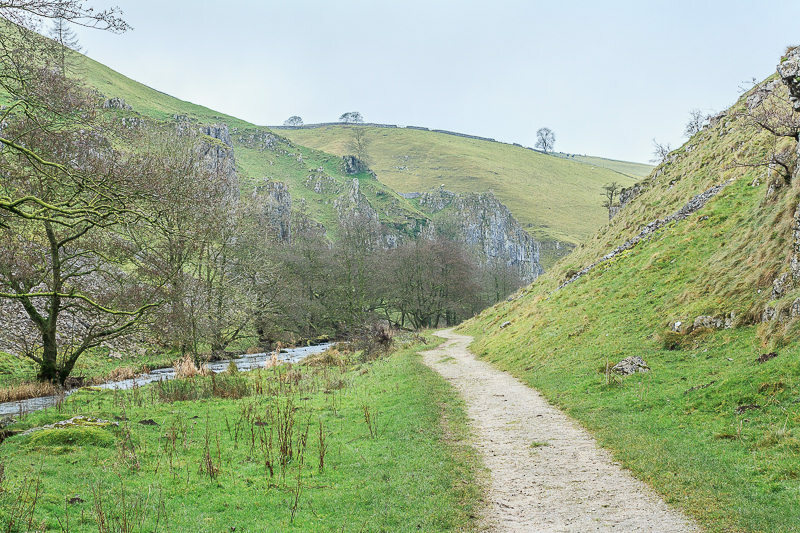 We actually saw more people in the normally quiet Biggin Dale than we did in the usually popular Wolfscote Dale. 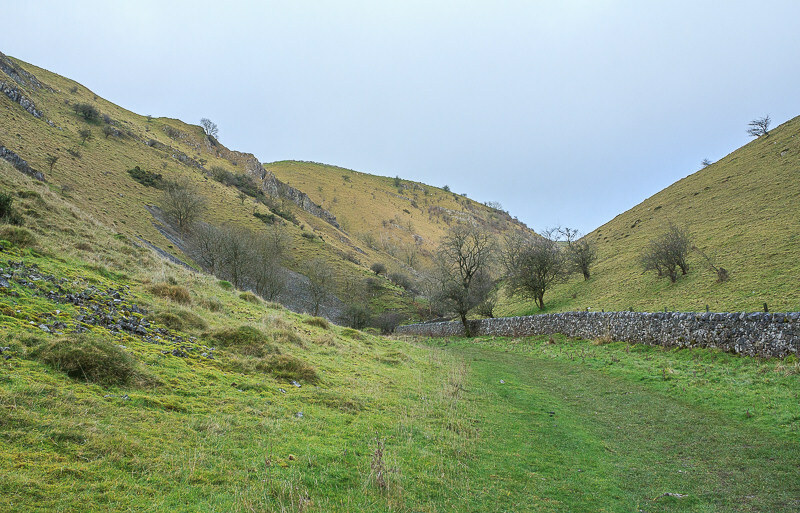 Biggin Dale is a strange little dale, one minute the path is quite wide and grassy, the next it is quite narrow and you are carefully picking your way through muddy rocks. 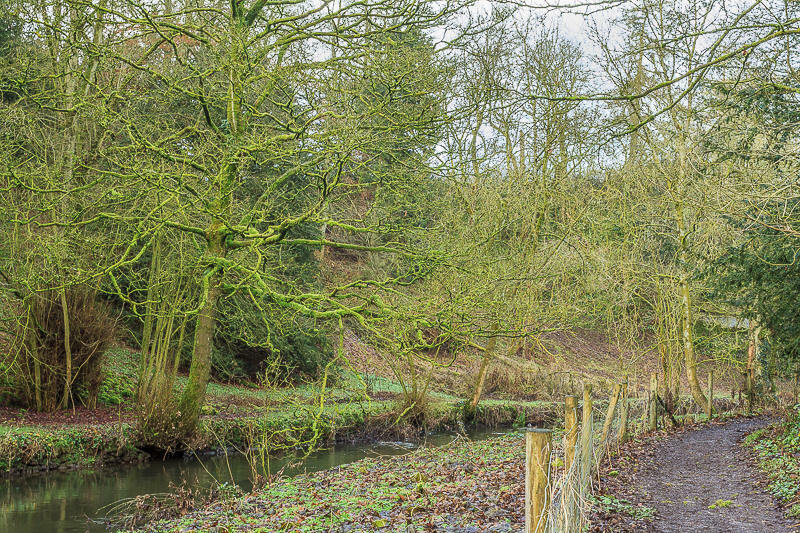 The short section of wood in the dale was quite muddy and slippery. 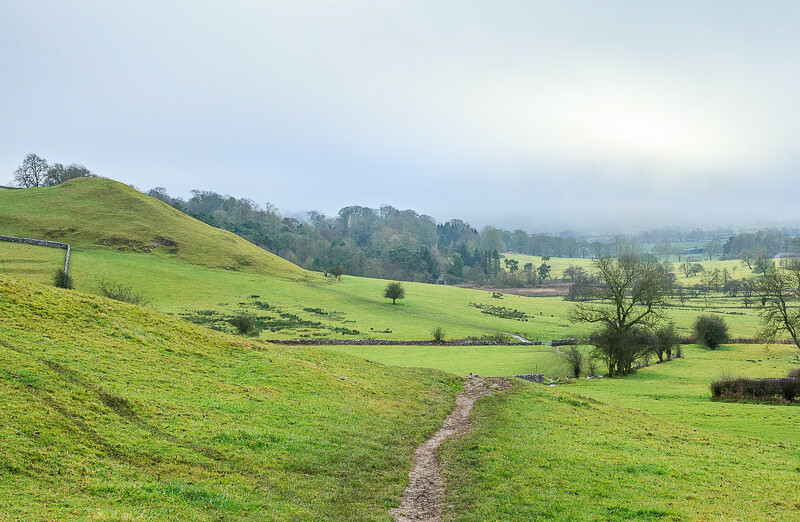 We emerged from the wood to find the cloud had finally lifted and it was now pleasantly warm in the sunshine. We had lunch sat in the sunshine at the point where the dale splits. 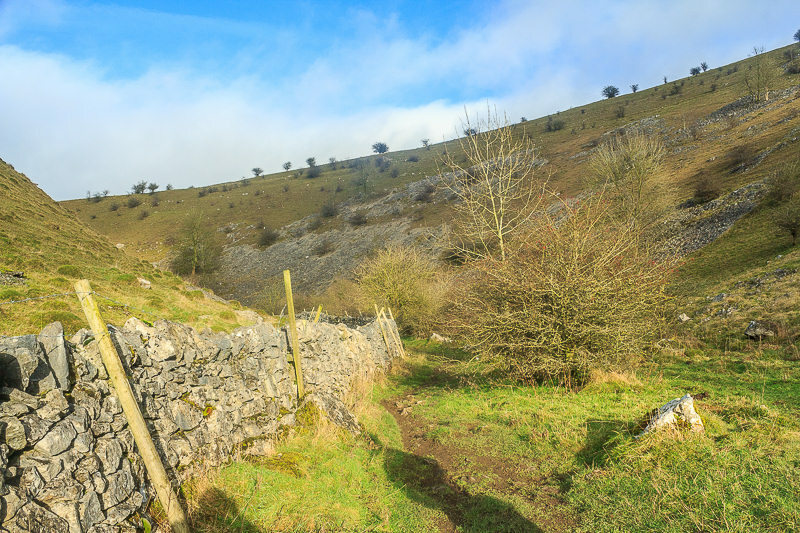 Considering it was late December it was very warm and there was no need to rush our lunch, instead we sat admiring the view back down Biggin Dale to the area known as Ferny Bottom. 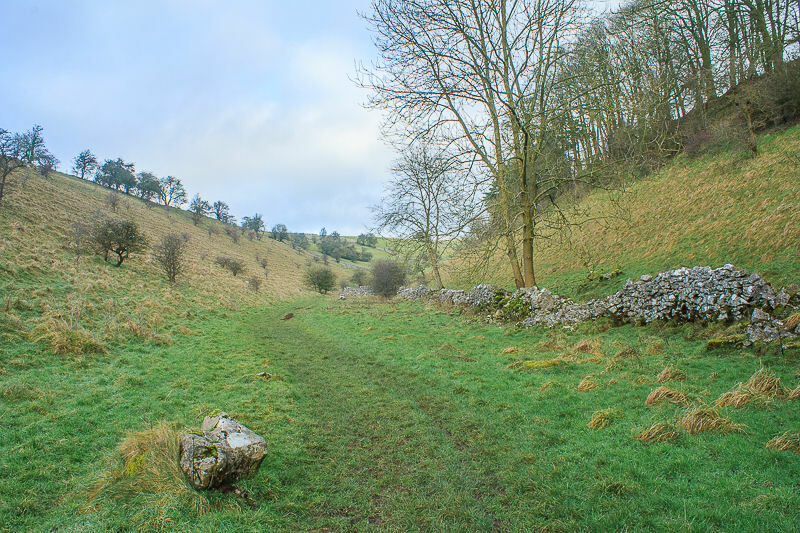 The dale now widened out and we had a pleasant walk through the grassy dale on a section that was new to us. 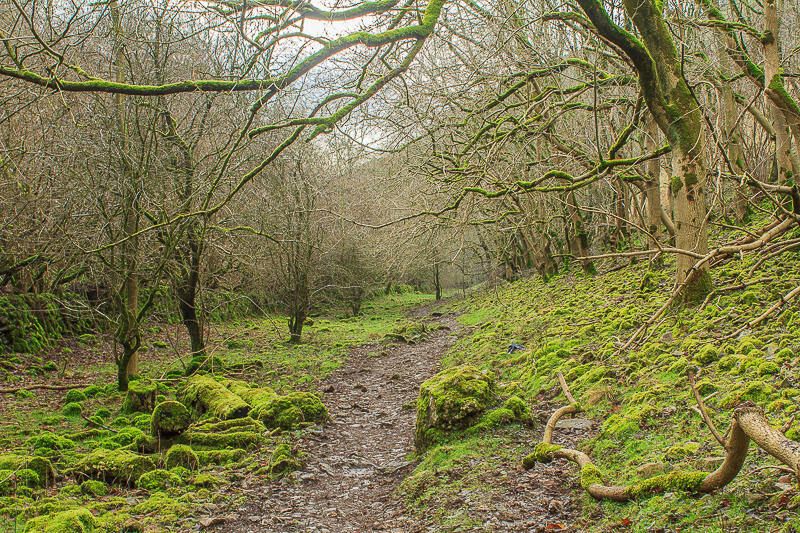 We took the track known as Highfield Lane and soon found ourselves heading up. 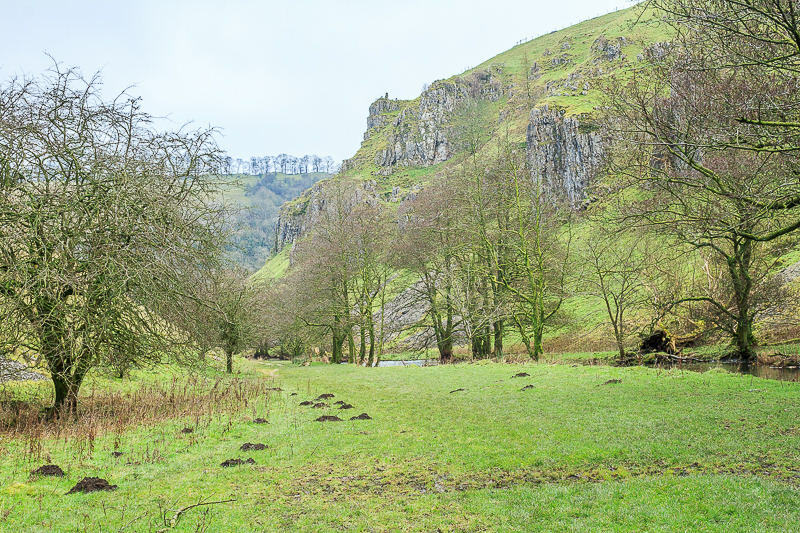 When I plotted the route I hadn't really paid any attention to where the ascent was so it was a lovely surprise to find we suddenly had far reaching views across Biggin Dale. 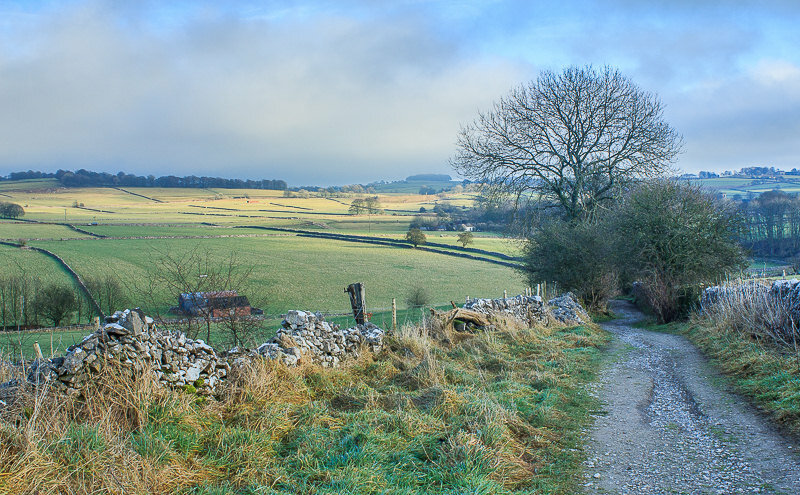 On the opposite side of the lane the view extended across more fields to Aleck Low. 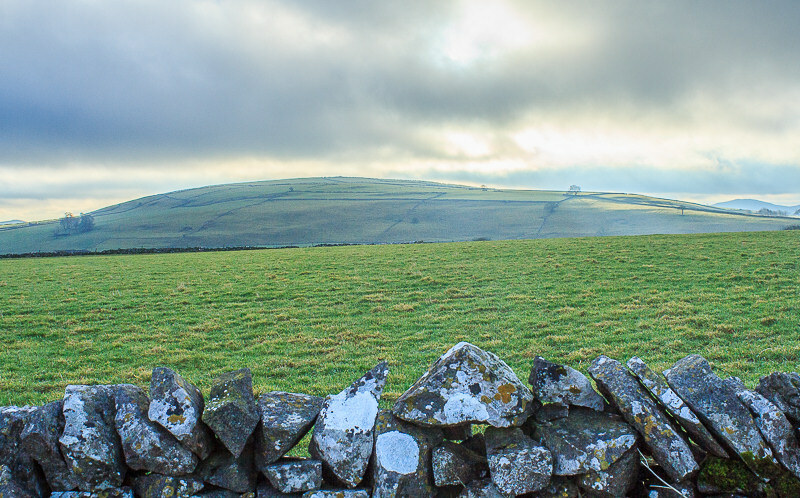 Looking across Biggin Grange to Johnson's Knoll. 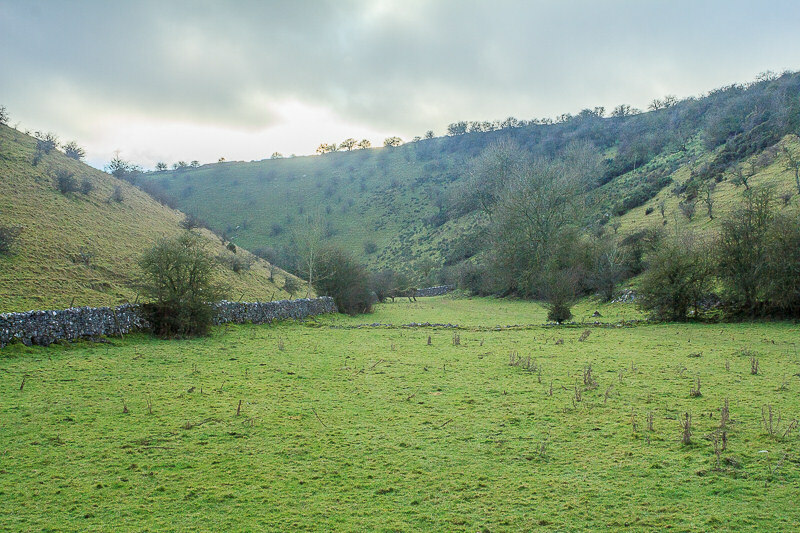 Continuing along the lane and the views continue to get better with Wolfscote Hill replacing the view of Johnson's Knoll. 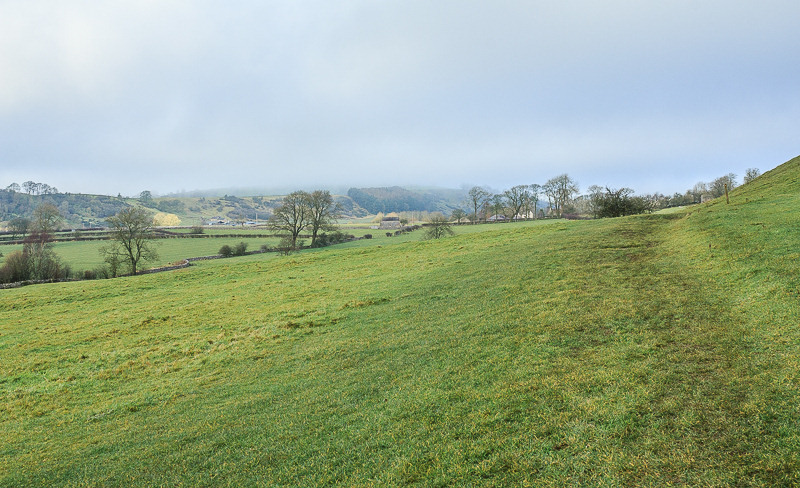 As we head downhill towards Hartington the view now extends across the fields towards Chrome and Parkhouse Hills. 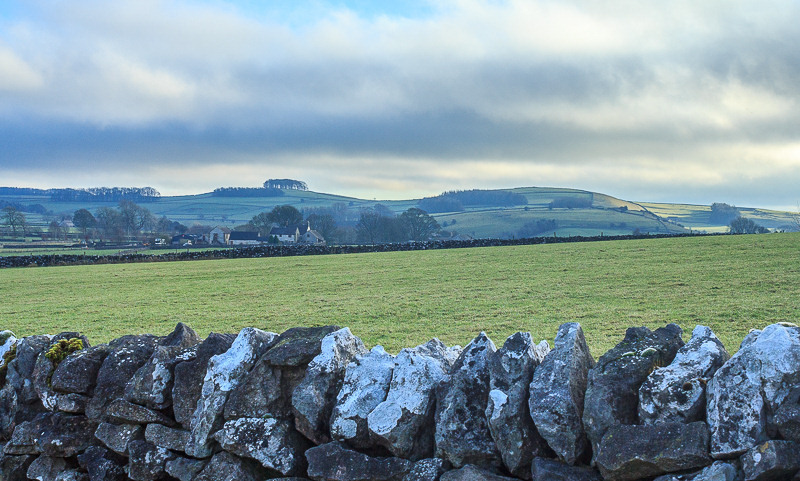 Sunlight lights up the distant Chrome and Parkhouse Hills. 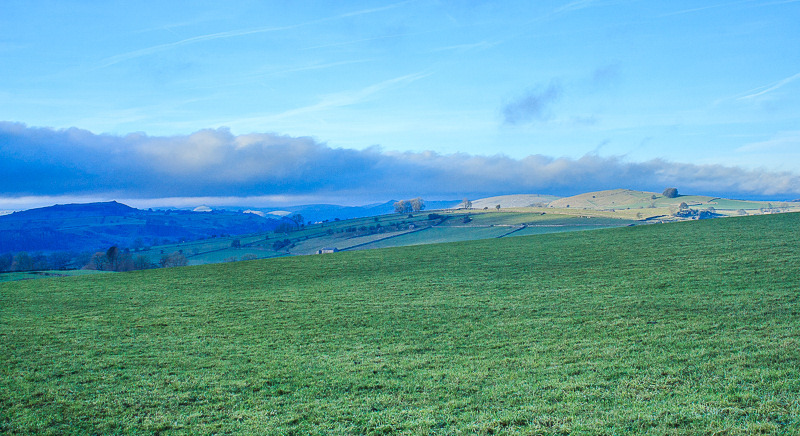 Yet again making a small change to a familiar route has revealed some great new views of the Peak District. Now it's time to start the Christmas celebrations with a drink in the pub, where we actually saw more people that we did on the whole of the walk.